It’s official. ABC has lost the Idol franchise to GMA. What was once known as Philippine Idol will now be renamed Pinoy Idol so that the media Goliath, to which ABC never even stood a chance to begin with, can stake a claim to churning out the first Pinoy Idol, the winner of Philippine Idol being now reduced to being the first and only Philippine Idol. So there is now a difference between being Filipino and Pinoy? That’s just absurd (or is there a rule that you have to change the contest name if it changes networks?). 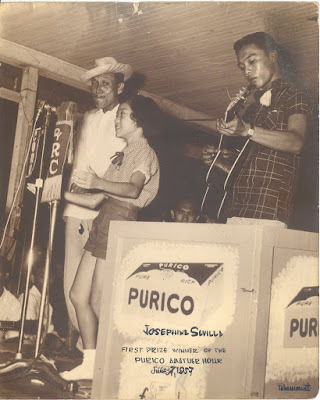 For as far back as anyone can remember, Filipinos have always been regulars at singing contests. The smallest communities would have annual events where contestants would croon on crepe paper decorated stages and vie for the grand prizes—cans of biscuits, gallons of all you can drink orange juice, packs of imported soap and bragging rights. I was in the central part of town last Sunday and got a rare glimpse of this nearly extinct part of Filipino culture. Kids, mostly from the lower sectors of society, were lined up dressed in nearly ancient Sunday clothes their mothers might have worn before them. From the way they nearly busted the speakers, I could tell they were all intent on bagging whatever pack of goodies was at stake. Unfortunately, the contest that would have drawn crowds in the past was probably only attended by the contestants’ direct family members who didn’t mind going home without their ear drums. People who would’ve been there if there had been no Big Brother “senseless night” probably now prefer the regular contest fare that media giants try to shove down our throats. With a little advertising and a lot of hype, Filipino singing contests are now also contests on who has the most friends, who has the least clothing, who can scream the loudest and who is the most pitiful. Yes, in contests these days, you need to be pitiful and to be pitied to actually bag the first prize even if your middle name is Notalent, Outoftune, Copycat or Secondchoiceifididntlookhandsome. The real winner is actually whichever network would rather send the whole nation into the arms of mediocrity than lose their ratings. The worst part about our modern contests is that many of us are only a quarter proud of some of the real talents who actually win just because they don’t belong to the network that we watch (in the Philippines the last five words is roughly the same as the network that has fooled us the most). This is why we now have a would-be Pinoy Idol who isn’t the second but the first and who is apparently of a different species than our Philippine Idol. Sigh. Maybe it’s just me but I do wish we could have those old biscuit contests again when we were a young, simple and uniformly proud nation that had friendly T.V. networks that didn't fight over ratings. actually my voice is meant for low pitch ballads but i don't like ballads very much cause they're so.... well, let's just say they're so emo-tional. if i had a different quality of voice i would definitely go for alternative.